Cameroon’s economic growth over the last decade has been too slow to lead to sustainable development and poverty reduction—nearly 40 percent of its population still lives below the poverty line. 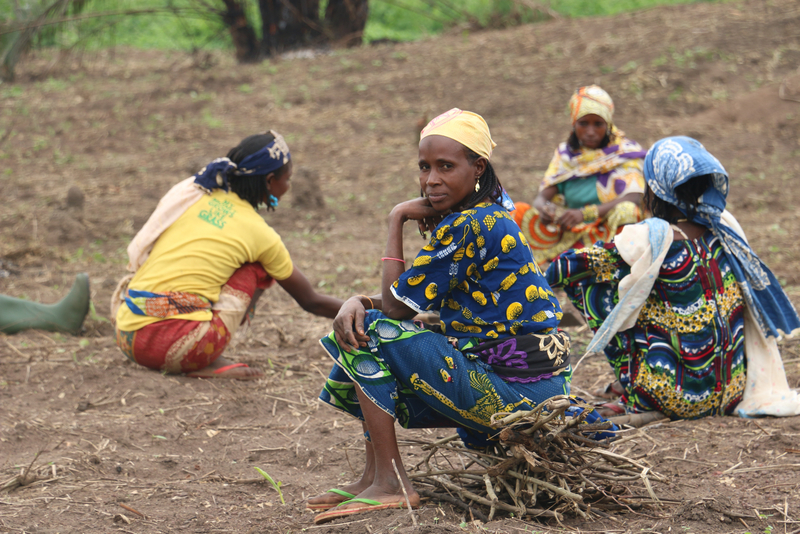 Cameroon’s northern regions located in the Sahelian band are the most deprived. Communities in these regions have suffered years of successive natural disasters and below average harvests, with little means to resist the continuous cycle of shocks and stresses. In 2015, food insecurity reached alarming levels: an estimated 2.3 million people are food-insecure in the four poorest regions—over 60 percent of whom are located in the Far North region, where one in three people are moderately or severely food-insecure. In border areas of Nigeria where Boko Haram insurgents operate, the number of people facing food insecurity more than doubled between June and September last year. Similarly, the Standardized Monitoring and Assessment of Relief and Transition survey conducted by UNICEF in 2015 indicates an increase in malnutrition rates, especially in the far north, compared to results from 2013 and 2014. Furthermore, stunting is a major public health issue in northern Cameroon, well above the World Health Organization critical threshold. Launch of cash-based activities: In early May, WFP launched its very first round of e-cards to 23,000 C.A.R. refugees in the Gado site, East region. The program will be expanded to IDPs in select areas of Mokolo, Mora and Kousseri in the far north region. Furthermore, WFP is coordinating with partners in the region to establish a multi-purpose cash intervention, which will allow UN and NGO partners to channel complementary activities through the WFP existing e-mobile platform. New nutrition strategy: WFP is implementing a new nutrition strategy working toward preventive nutrition programs and nutrition-sensitive food assistance, while phasing out malnutrition treatment programs. In this context, 23 sites in the far north and eastern Cameroon have been selected to take part in a three-month pilot phase to guide the process. Food and nutrition assistance: General food distributions for 54,000 Nigerian refugees were finalized in the Minawao camp during the first week of April, while distributions out of camp settings targeted 92,800 IDPs and 23,000 local vulnerable individuals. The number of new admissions to nutrition centers increased significantly during the first quarter of 2016 with 20,023 malnourished children admitted for treatment of moderate acute malnutrition, which represents 135 percent of those expected for the period. A similar trend was noted for pregnant and nursing women in the region. WFP continues to provide food and nutrition support to 156,000 C.A.R. refugees registered by UNHCR, including 18,000 refugees who arrived prior to 2014.